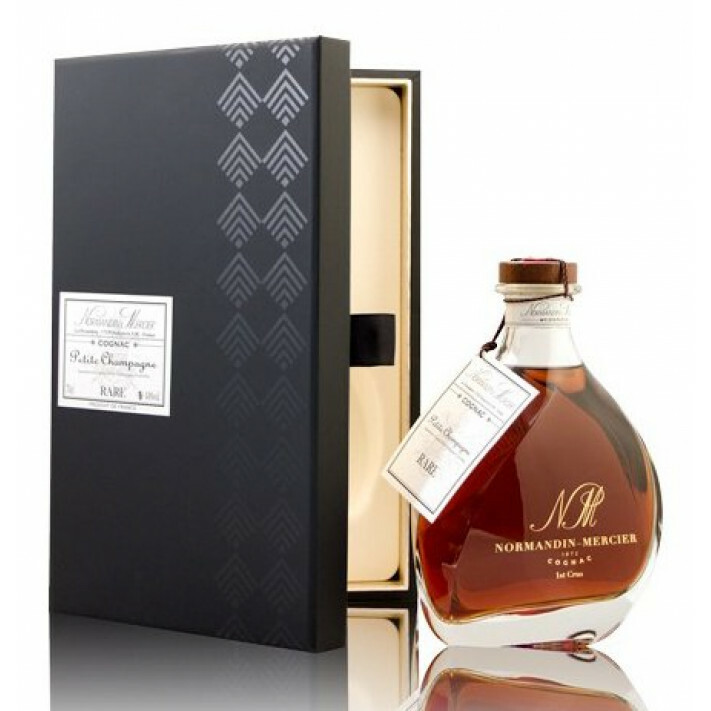 The delightful Normandin Mercier Petite Champagne Rare Cognac has had a makeover! Now this top quality delight is presented in a beautiful decanter, with classic lines and good looks, making it a wonderful Cognac to display on a cabinet. But don't be fooled into thinking this bottle just looks pretty, because the precious nectar contained within is something rather special too. Made solely from eaux-de-vie grown in the region of Petite Champagne, it represents all that is great about this cru. It's a deliciously well-rounded Cognac, one that's been created with passion and knowledge that's been handed down over the generations of Normandin Mercier. The house dates back to 1872, and these centuries of experience definitely shine through in the Cognacs they produce. This rare offering is of hors d'age quality, and is over proof at 44%. The perfect choice to enjoy after a fine meal, or if you're looking for a gift for the connoiseur, then this would certainly be gratefully received.